DP's from My Mind's Eye, chipboard heart from Maya Road, bakers twine from The Twinery, misc. rhinestone adhesive and buttons. Thanks for taking a peek - off to post my card! Super cute card Cathy! I love the papers and colors that you used. 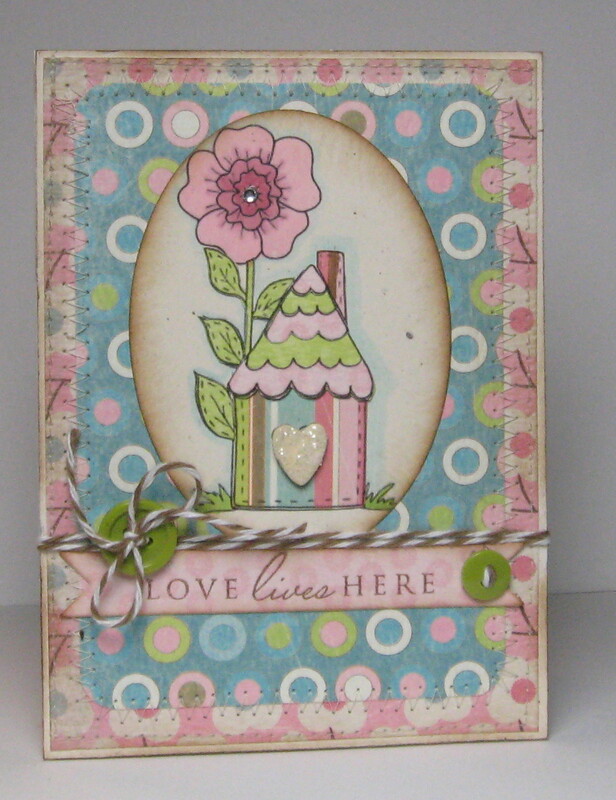 My favorite parts of this card are the adorable house and the sentiment. They are amazing! So soft and pretty. You did a wonderful job! How cute is this!?! I love it! Absolutely LOVE those colors you chose for your card. It's exceptional! This is adorable! Thanks for joining us at Heart Song Inspirations! We hope to see you again next time! Cathy, I'm a little late in posting but I love your card. Thanks for joining us at Heart Song Inspirations Challenge. I hope you will join us this week for our Sketch Challenge.